After the huge success of Last Year’s NRJ Music Tour, now It is TIME TO DO IT AGAIN!!! 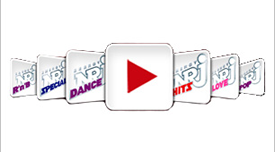 The NRJ Music Tour 2011 IS GOING TO BLOW YOUR MIND! 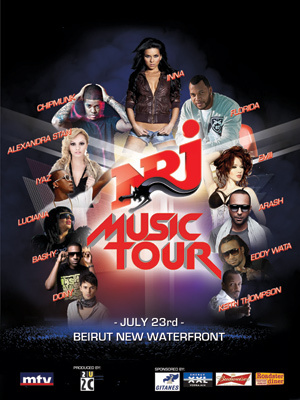 BEIRUT WILL BE THE MEETING POINT OF THE MOST SUCCESSFUL STARS OF 2011. 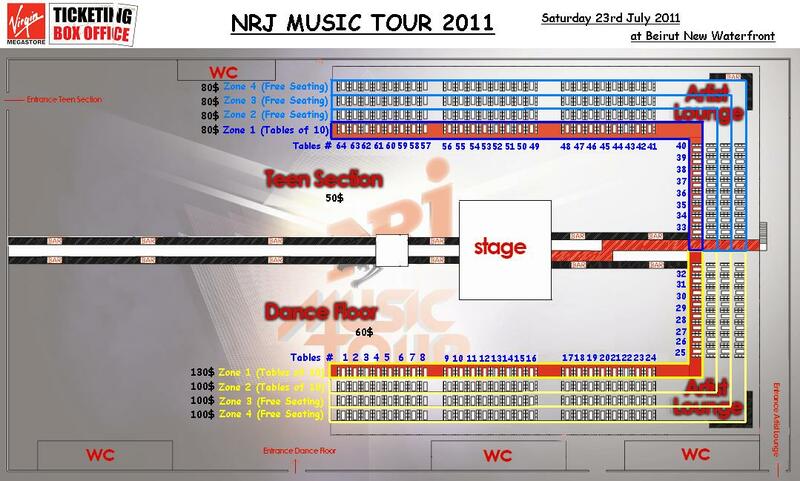 The NRJ Music Tour 2011! The ONLY CONCERT where you will see more than 12 artists performing in ONLY ONE NIGHT! The MOST awaited for event this SUMMER. 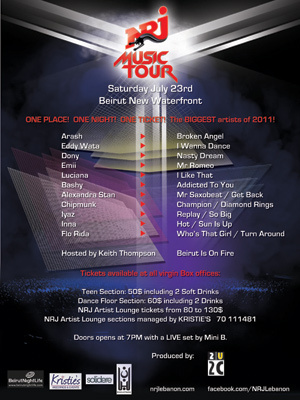 ONE PLACE, ONE NIGHT, ONE TICKET, to see ALL the BIGGEST artists of 2011! Doors opens at 7pm with a LIVE set by Mini B.